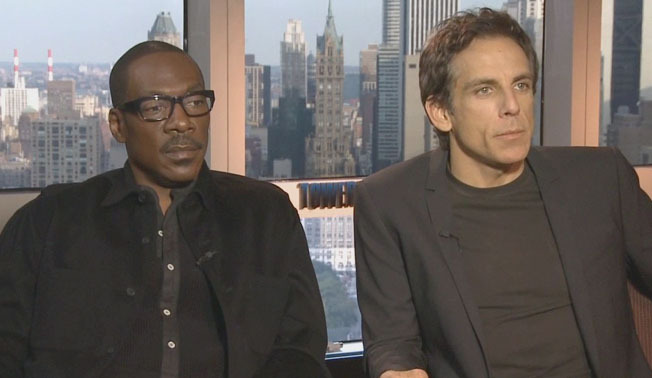 Universal Studios’ new movie, Tower Heist comes to the UK this Wednesday, 2nd November and our friend James Kleinmann was lucky enough to go to New York and interview, Ben Stiller and Eddie Murphy. Both actors have been around for quite a while now and it’s great to see them both working together on this project. In the interview, we find out how the characters met and how they came to work together. Tower Heist also stars Matthew Broderick, Téa Leoni, Gabourey Sidibe, Casey Affleck, Stephen Henderson, Judd Hirsch, Michael Peña and Alan Alda. Check out the trailer here for more on what you can expect.